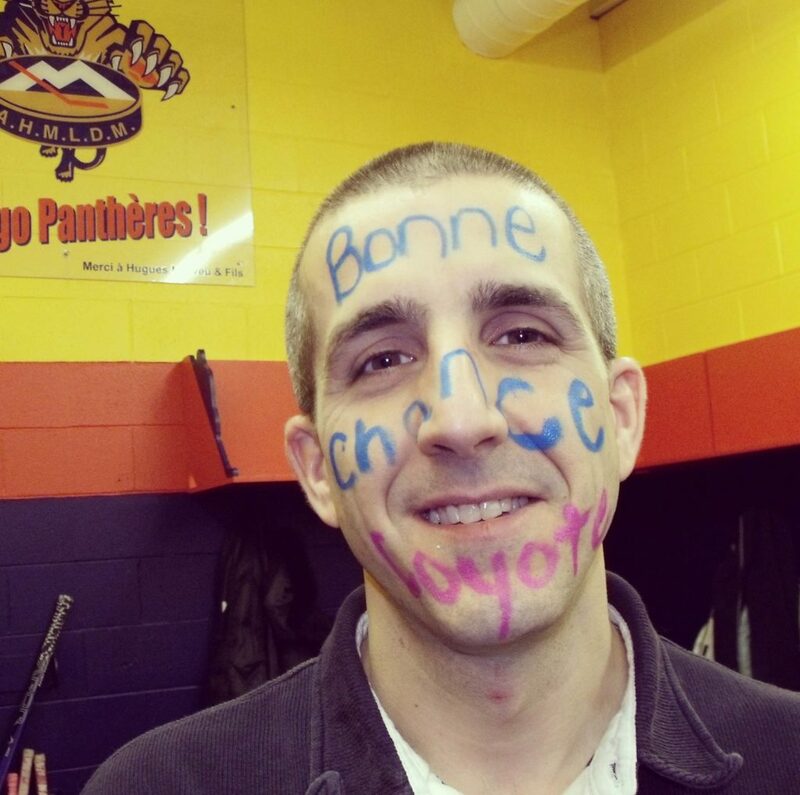 “I am the equipment manager of the Deux-Montagnes Ringette Association and have been assistant coach or manager of both my daughters’ teams throughout the last ten years. My greatest pleasure in getting involved in ringette comes from seeing the huge smiles on the girls faces, on and off the ice – to see their eyes light up as soon as they pick the ring and skate, to hear their laughter in the rooms or while running in the hallway! It is not my technical advice that is my forte, it is my selfless desire to make all these little girls happy. I’m on the administration and the tournament committees. I am totally dedicated to showing the best hospitality to the girls, their parents and coaches so that they leave the Deux-Montagnes tournament feeling like they were spoiled through and through. I take care of the arena decorations, the after-match snacks, cleaning up the rooms, and spoiling the NRL players who come to play during the tournament.